Time Out chats with first-time Oscar nominees about the awards race in its final days. The Oscars are only days away and, as Time Out has done in previous years, we like to check in with some first-time nominees to see how they're handling the pressure of the race. In a Best Adapted Screenplay bracket dense with heavy-hitters—including Pulitzer-winner Tony Kushner for Lincoln—36-year-old Chris Terrio is holding his own with his sharp, dazzlingly fast script for Argo. We reached him by phone. I just made the mistake of reading your review. Now I hate you and don't want to talk to you. I'm sorry. I hope you're kidding. I mean, I will talk to you. And don't be sorry. I'm only half-kidding. Let's talk about the race. Sure. [Pause] I actually like having a dialogue and if we were sitting at a dinner party and you said, "I hated the film," I would love to debate you, because I might agree with you. I think I need to just let this one go. As a student, you lived in LA for a while. Now you're back in New York. That wasn't a place I could stay long term. I needed street life and people around me to stave off depression. I found the whole geography really alienating. I need eclectic people in my life. You wrote a lot of spec scripts until, via a well-positioned former colleague, you got a chance to pitch to George Clooney and Grant Heslov. I went away with their concept for Argo and came back to them with a pitch for what the movie would be. As Clooney likes to say in his Q&As, I was cheap, so they decided to give me a chance. 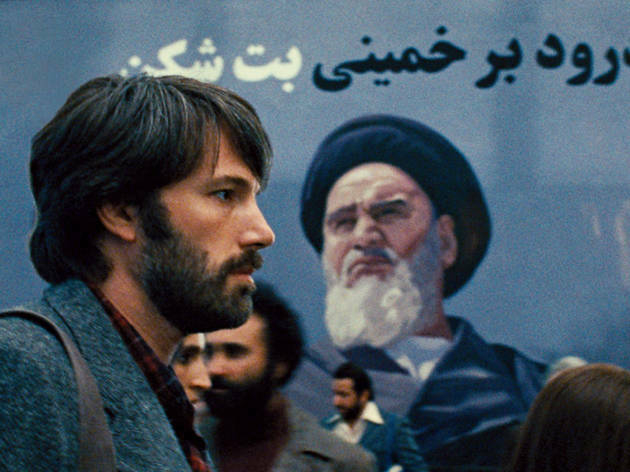 Meanwhile, I think Argo is being mischaracterized as an obvious hit. Right? 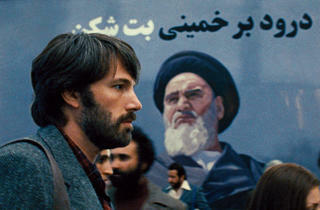 Ben [Affleck] and I would say that we were trying to make a movie that we wanted to see ourselves. But there were so many elements in it that seemed so drastically uncommercial. By Hollywood standards, it's an old cast. Ben is the youngest. It's obviously dealing with Iran, not treated very often. Tonally, it's a jabberwock. There were all kinds of strikes against it. We would continually wake up in the morning and think that our parents were going to ground us for a year, because we'd taken out the car and crashed it. Having gruff gab spoken by Alan Arkin helped. Obviously the Hollywood stuff is hyperreal but I wanted to find some tonal truth to it. It's immigrant humor that goes back to the Lower East Side. That was my entry into it. My grandparents are from Hell's Kitchen. It was fun to write characters like that, even though I knew other people had done it far better than I ever would. Are you stunned by your company these days on the awards circuit? Constantly. You're on your way to the bathroom and Robert De Niro is walking back the other way. It's all surreal and bizarre to me. I think I was subconsciously drinking a lot of water on the plane so I would pass Ang Lee a lot. I was star struck by Tony Kushner. That actually happened to me some time ago, when I was in line at the Public for coffee. So how can it not happen again, during this Hunger Games-like trumped-up competition? I don't want to shoot arrows at Tony Kushner! He's my hero.